It is with great pleasure that we invite you to visit us and our partner ADVANTECH at our joined exhibition booth S1C45 at the Arab Health 2016 in Dubai, January 25th-28th. There you will have an opportunity to see into the future of surgical room equipment. You will have a chance to experience the ADORA Assistant™, our touchless surgery solution that reduces chances of Surgical Site Infections and Hospital Acquired Infections. 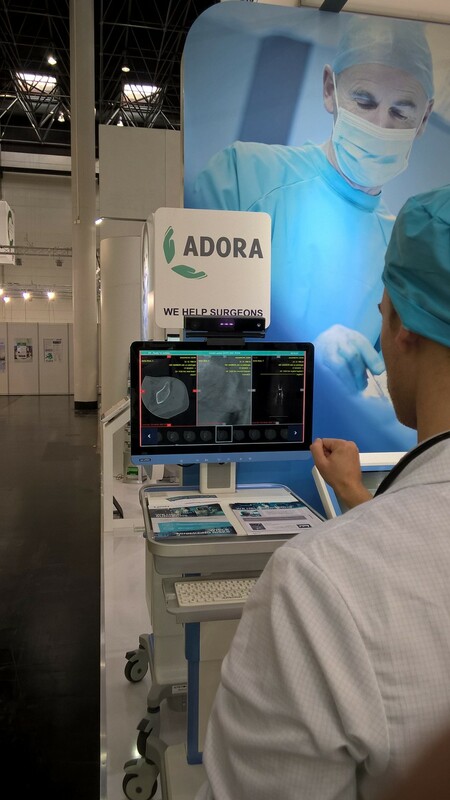 In addition you are welcome to discover why ADORA HealthSuite™ is a perfect perioperative solution, taking care of surgeons and of patient’s wellbeing before, during and after surgeries. Come to our booth S1C45 in Hall Saeed 1 where you can try out ADORA’s futuristic products for yourself. If you are attending Arab Health 2016 and are interested in scheduling an appointment, please get in touch at info@adora-med.com. Gesture based image navigation – how to use gesture navigation during surgery while staying sterile. Surgical team and asset planning for clinical departments. Plan your team and operation at all stages and optimize you workflow. Gesture based image navigation during surgery.